Proprietors are required to apply for registration to operate a children’s residential centre and it is an offence under legislation to operate without registration being secured. Once an application for registration has been duly made and assessed (see Part VIII, Article 61) a centre once operational will be subject to an inspection against the national standards. 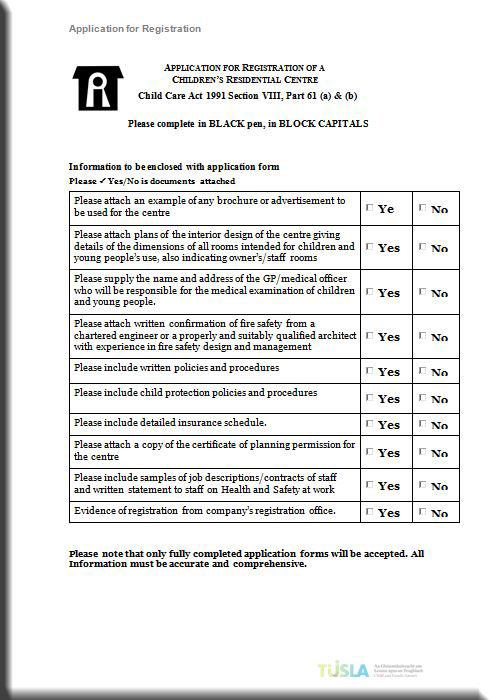 The Application for Registration of a Children’s Residential Centre form is available to download below.